Australia is such an amazing and spectacular country of widely diverse environments ranging from our mesmerizing marine coastlines, to our lush tranquil rainforests, to our arid red outback. In my opinion, in the past I didn’t think Australian beauty brands had fully harnessed nor showcased Australia’s extraordinary diverse environments nor the powerful native ingredients found exclusively in these environments, until I was recently introduced to Noelle Australia. Noelle Australia is a local beauty brand that has created a range of holistic products that connect you with the natural luxury of Australia’s varied environments in your daily rituals. Noelle Australia Outback Luxury Nourish Hand Cream. 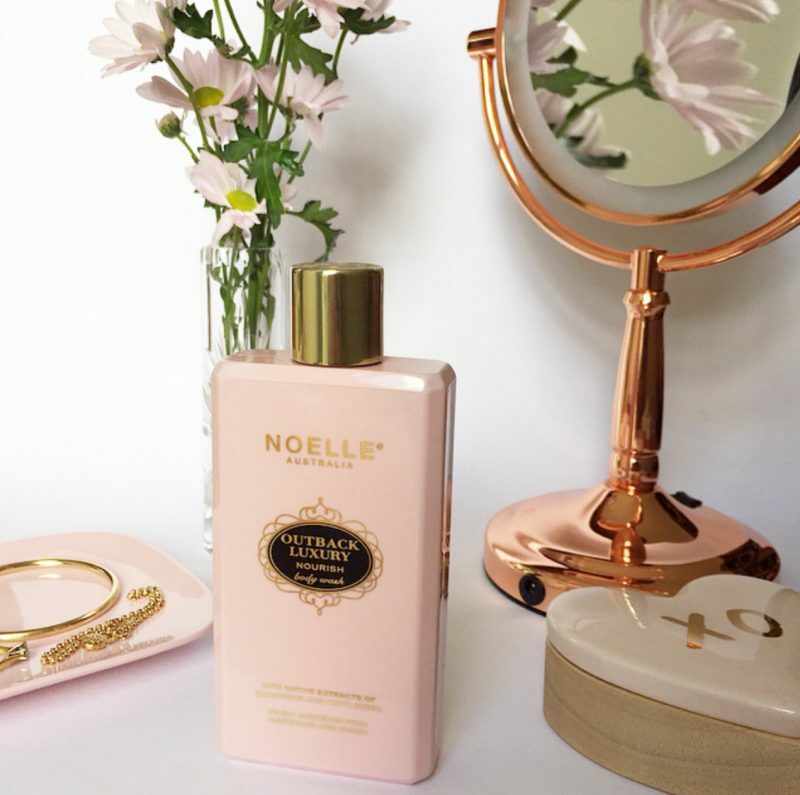 The Noelle Australia Outback Luxury Nourish Body Wash comes in a gorgeous pale pink rectangular bottle with a luxurious looking gold lid and writing. This product looks absolutely stunning sitting on my bathroom vanity. As with all three of the Noelle Australia Outback Collection products I received, the body wash is enriched with native extracts of quandong and wattleseed, wildly harvested from the arid regions and deserts of Australia. This body wash is packed with potent antioxidants and natural emollients that instantly nourish, soothe and condition the skin, while gently cleansing your body. Quandong packs tremendous skin nourishing antioxidants while wattleseed contains unique amino acid to protect the skin. I found this body wash lathered up beautifully and left my skin feeling wonderfully soft as well as clean. The divine aromas of rose, lavender and geranium essential oils waft out of the bottle as soon as you open it and are such a lovely and calming way to start the day and your bathing ritual. The rose essential oil helps even your skin tone, the lavender soothes and calms, and the geranium improves the texture and suppleness of your skin. Using this body wash is pure bliss! 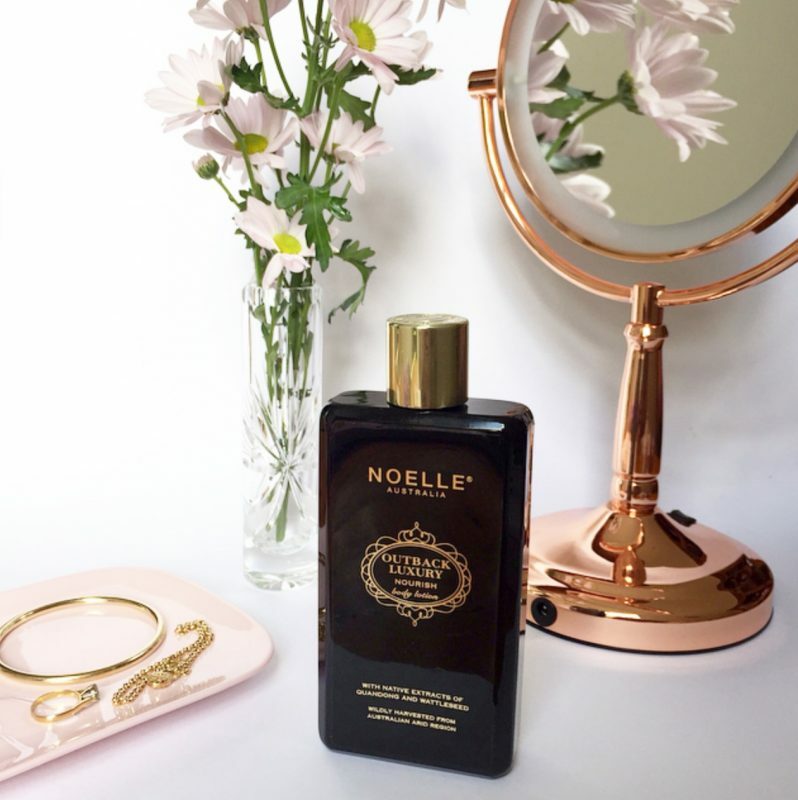 The Noelle Australia Outback Nourish Body Lotion comes in a contrasting sleek black rectangular bottle to the body wash. Once again it has a luxurious gold lid and gold writing. The body lotion is a lightweight yet thickish white lotion enriched with native quandong and wattleseed extracts. It is full of skin nourishing antioxidants and natural emollients that instantly moisturise, replenish and nurture the skin. My skin felt delightfully soft and smooth after using this body lotion. It absorbed into my skin quickly with no residual greasiness, and the rose and lavender aromas of this body lotion are both relaxing and pampering. 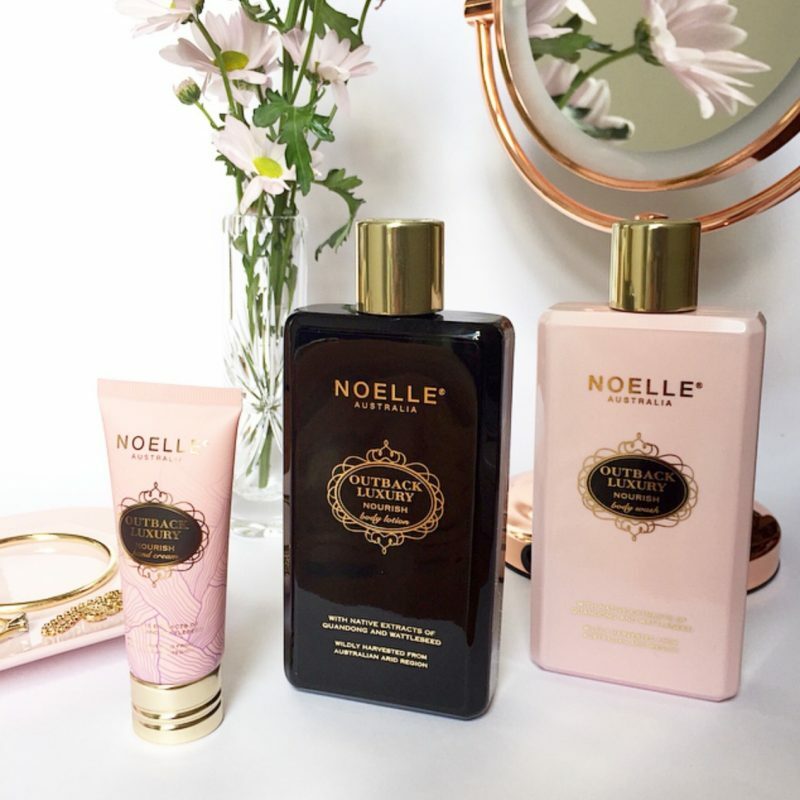 These aromas also evoked memories of my wedding day and the rose scented fragrance I wore on that special occasion so these Noelle Australia Outback Collection products were always going to win my heart! 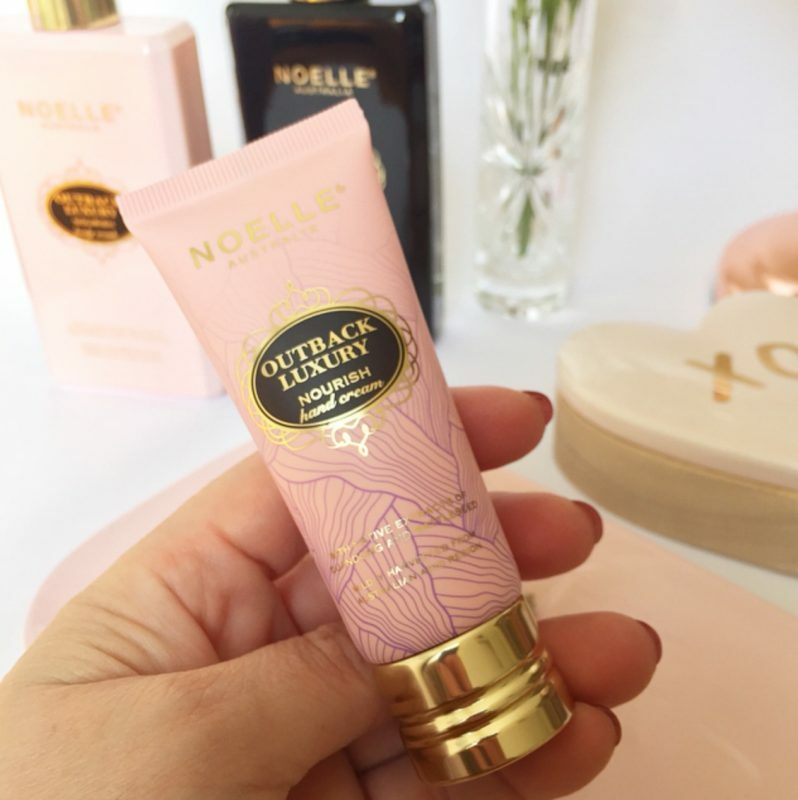 The Noelle Australia Outback Luxury Nourish Hand Cream comes in the same gorgeous pale pink coloured packaging with gold writing as the body wash but this time in a 40ml tube. It has a unique gold twist top lid method of dispensing the hand cream. I love that the lid doesn’t detach from the bottle so there is no problem with dropping the lid while applying the hand cream. This tube is the perfect size for keeping in your handbag for applying when out and about. Like the above two products this cream is enriched with the potent native extracts of quandong and wattleseed, wildly harvested from Australian arid regions and deserts. It is divinely scented with quandong, wattleseed, native sandalwood, cedarwood, geranium, lavender and rose, and the scent lingers beautifully on your hands. I found this hand cream to quickly fully absorb into my skin instantly nourishing and soothing my hands and cuticles, leaving my skin feeling soft and smooth. It also acts to protect the skin against premature aging and harsh environmental elements by eliminating harmful radicals. A definite bonus is the affordable pricing of this hand cream. For Australian stockists of the Noelle Australia Outback Bath & Body Collection see http://www.noelleaustralia.com.au. 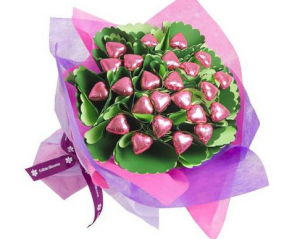 You can also check out the other Australian inspired collections on this website. I should also note that all Noelle Australia products are cruelty-free and free from harmful chemicals and unnecessary ingredients that are not found in nature. Noelle Australia products are conceived and made in Australia. * The above Noelle Australia products were kindly gifted to me for editorial consideration. All opinions are my own. Full disclosure policy here. This range sounds beautiful. I am going to look out for it. 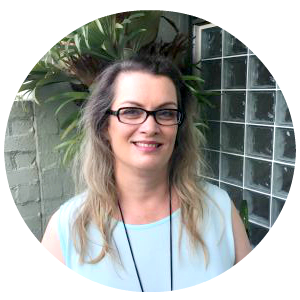 I try to choose Australian skin care products, especially those with native ingredients. I have been cooking with native spices for some time now since I discovered them in a store at Kakadu. That looks very classic and lush! I wanted you to know I took myself to the 50% off sale at Priceline and got some nail polishes, some lip products and a few other things I might not normally have bought! 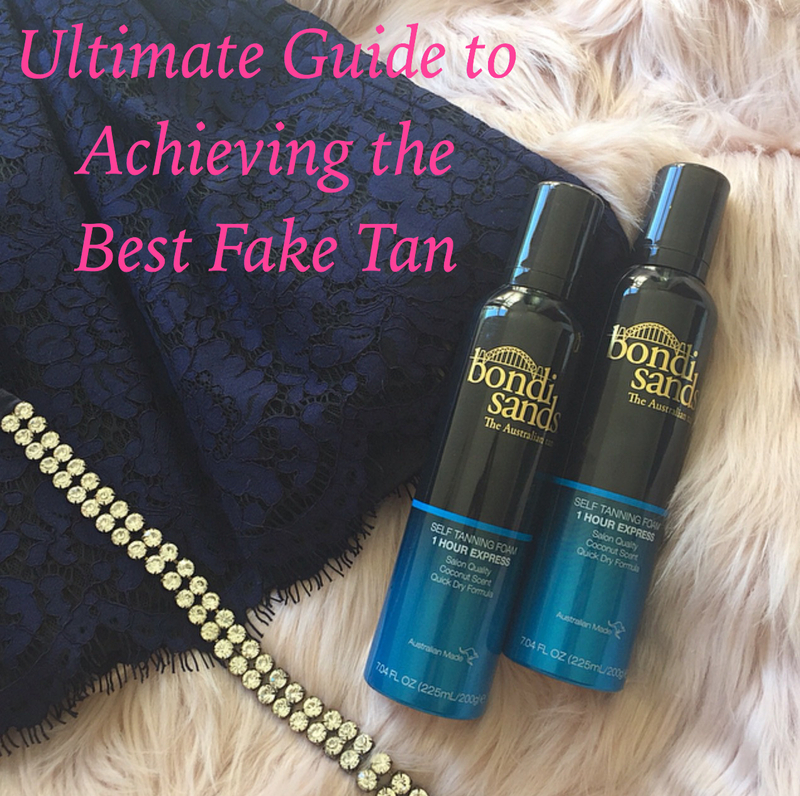 I’m so glad you were able to spoil yourself with some new beauty goodies from Priceline! The 50% off sales at Priceline are definitely the best time to shop there! I only recently discovered this brand myself! I love the packaging, it kind of reminds me of MOR. The body wash sounds divine! The scent of the body wash is so divine! I love beautifully scented bath products!